The general shopping markets in Laos can be divided into 2 primary groups: food and other goods. 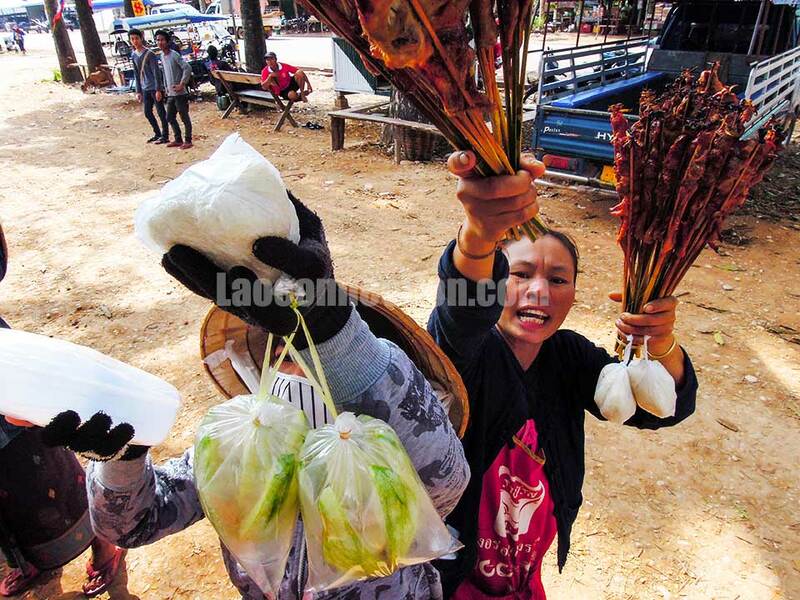 However, in most markets in Laos you will notice that, while there are some men, the majority of the vendors are women. 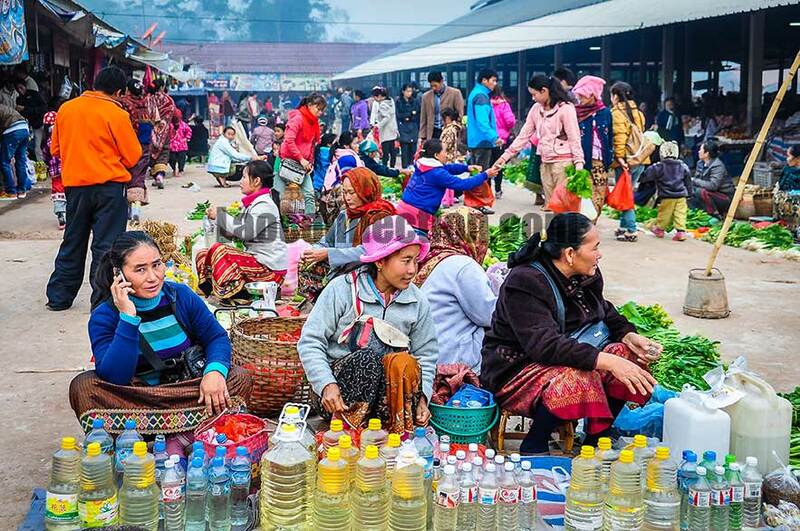 They generally come from nearby areas to sell their goods at the local market. However, in more rural areas, they will have traveled from even further distances in order to participate in the market. It's a testament to their tenacity and entrepreneurial skills. In other cases, the food market comes to you. As shown in this picture below during a bus stop. Vendors take the opportunity to sell travelers and bus riders some food snacks. Those snacks tend to be fruits, vegetables, or meat sticks. As the buses only stop for a moment, the transactions happen quickly with lots of yelling and passing of food and money. It brings a whole new meaning to drive-thru fast food.